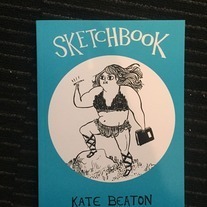 A collection of different drawings that were made by NUMBER ONE NEW YORK TIMES BEST SELLING author Kate Beaton. Published by the homies at Desert Island in Brooklyn New York. Available here in our webstore…. hard to find!